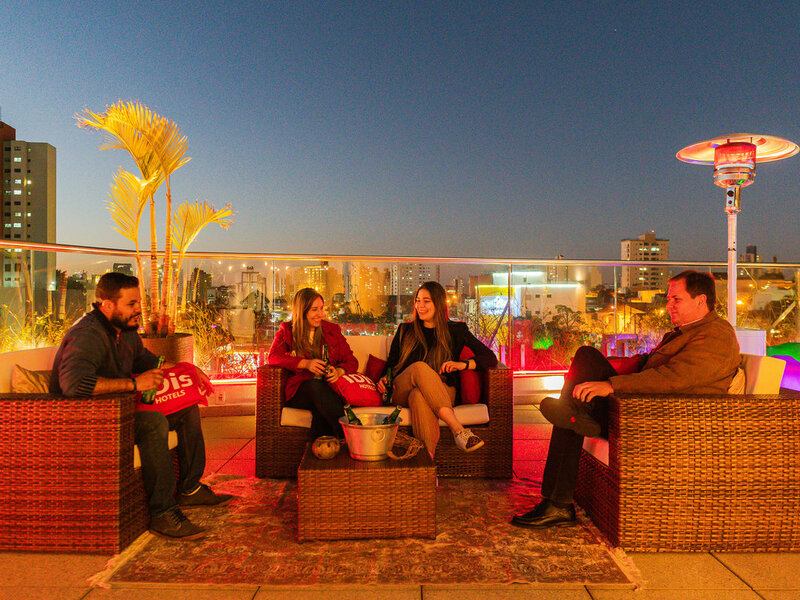 The ibis Jundiai Shopping hotel is 330 yds (300 m) from the city's newest shopping center, 26.7 miles (43 km) from Viracopos Airport, 39.8 miles (64 km) from Congonhas Airport, 46 miles (74 km) from Guarulhos International Airport and 0.6 miles (1 km) fro m the city's bus station. 180 apartments with air conditioning, LCD TV and minibar. Parking. Free WIFI. Restaurant serving breakfast and dinner, plus an incredible 24-hour bar. 5 events rooms to meet your needs. Non-smoking hotel. Small pets welcome. Even the bar provides a relaxing atmosphereAt any time of the day or nightThe ibis bar is the ideal place for meetings or taking a minute to relax.